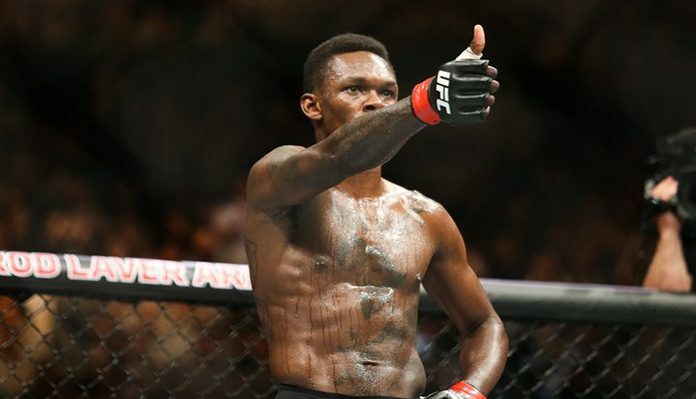 Israel Adesanya went to war with Kelvin Gastelum in Saturday’s co-main attraction. ‘Stylebender’ was forced to battle through adversity for the first time in his UFC career this weekend, this after being dropped by Gastelum in the opening round. However, Adesanya would battle back to seemingly square up the judges scorecards heading into the fifth and final round. The final five minutes were dominated by ‘Stylebender’, who came very close to stopping Kelvin in the final seconds of the fight. After five-rounds of thrilling action, Israel Adesanya was awarded a unanimous decision victory, thus claiming the promotions interim middleweight title. Kelvin Gastelum took home $150,000 in defeat. UFC 236 was headlined by an interim lightweight fight between Max Holloway and Dustin Poirier. Like the aforementioned co-headliner, Poirier vs Holloway exceeded expectations by giving fight fans another epic blood bath to soak in. Poirier’s edge in power was evident right from the opening bell. ‘The Diamond’ battered ‘Blessed’ with some heavy right hands in a lopsided round one. Max Holloway would do his best to battle back, but Poirier was not to be denied and was eventually awarded a unanimous decision victory from the judges in attendance. With the win, Poirier captured the promotions interim lightweight title and took home a cheque for $250,000. The promotions current featherweight kingpin, Max Holloway, took home $350,000 in defeat.